Stuart Conran has 30 years’ experience of working in special effects make-up for film and TV since beginning as a trainee on ‘Hellraiser’ in 1986. He’ll be joining us again this year to participate in giving feedback at the Portfolio Surgery. He was the Prosthetics Designer on ‘Shaun Of The Dead’ and his other credits include Peter Jackson’s ‘Braindead’, ‘The Piano’, ‘The Descent’, ‘Attack The Block’, ‘The Peter Serafinowicz Show’, ‘Look Around You’ and promos for Fatboy Slim, Squarepusher and Goldie Lookin’ Chain amongst others. He has also worked for Millennium FX over the years on many projects including ‘From Hell’, ‘Saving Private Ryan’, ‘The Tenth Kingdom’, ‘Strange’ and ‘Doctor Who’ amongst others. Ad & corporate work includes that for Tussauds, London Underground, Nicorette and Wrigley’s. Stuart is skilled in all aspects of prosthetics from lifecasting, sculpting and mouldmaking to painting, finishing, make-up & prosthetic application. He recently spent three years in Toronto, Canada, where he worked for CMU as an instructor for their Film/TV, Prosthetic & Creature Design courses. 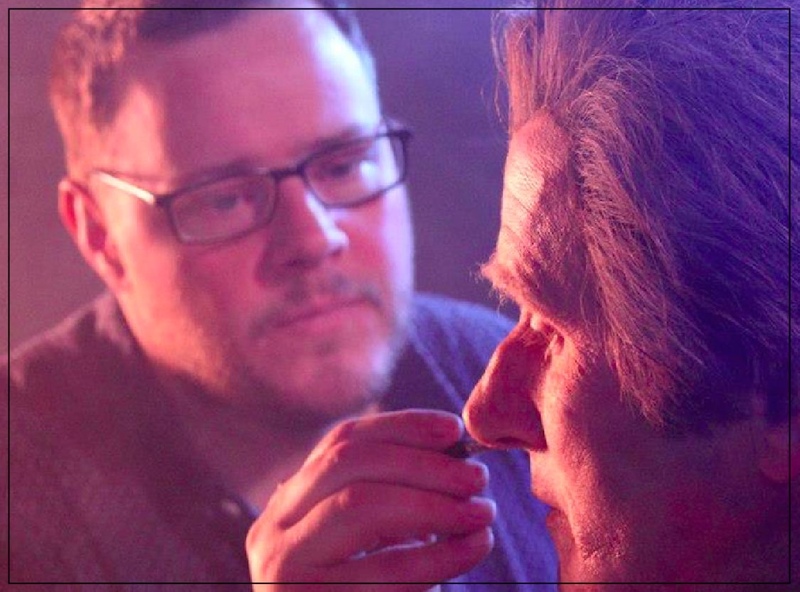 He now teaches at Gorton Studio on both the Makeup FX and & Prosthetics Creation and Creative & Character Makeup courses as well as teaching bespoke and short courses, whilst also continuing his industry work.